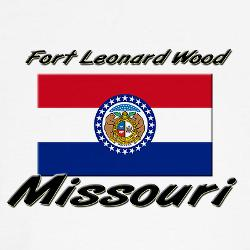 ST. LOUIS • Two Middle East military officers in Missouri for training at Fort Leonard Wood pleaded not guilty this week to charges in an attempted child abduction case, officials said. “Looks like they are going to be with us for a while,” Pulaski County Sheriff Ron Long said Friday. Mohammed Mahmoud Omar Mefleh, 34, of Jordan, and Antoine Chlela, 31, of Lebanon, are held in the county jail with bail set at $200,000 for each. They are charged with enticement of a child and harassment. The case has put communities outside the sprawling military base on alert. This entry was posted in Military Policy, US Army, Violent Crime and tagged 2013, Child Abduction, Foreign Military Officers, Fort Leonard Wood, Missouri, US Army by Jennifer Norris. Bookmark the permalink.